Hello friends! I am here to announce something big and exciting! As you might remember, we recently threw a super fun and successful LIVE party on Pinterest. And guess what?! We are in the process of planning an even BIGGER and BETTER one, just in time for CHRISTMAS!!! Yep, some of our VERY favorite bloggers! Besides sharing the best Christmas posts and ideas from all of our websites, we also wanted to share some of the BEST Christmas gift ideas from talented businesses! We are on the hunt for AMAZING products and gift ideas to share with our readers. 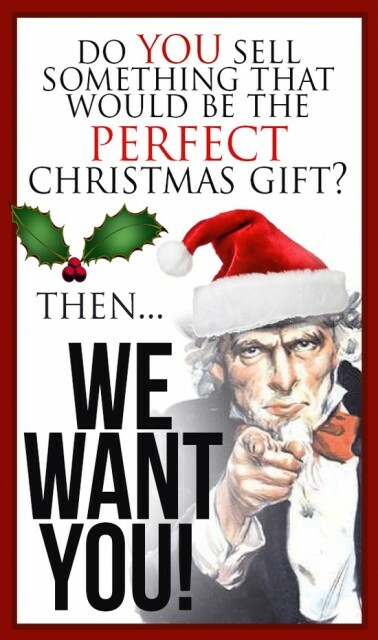 If you have a fabulous company/products that you think would be PERFECT for Christmas gifts, read on!! If you don’t have a shop or a company but you have friends that you think would be a perfect fit, please pass this along to them. And EVERYONE mark your calendars for November 12th! We have a FABULOUS post coming your way along with an announcement about the super fun LIVE Christmas party we’ll be doing on our group One-Stop DIY Shop Pinterest Board!! Make sure you are following that board! We have lots of exciting things coming your way if you are!! 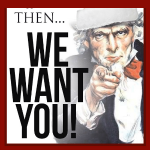 We’re very picky about what we share with our readers and we’re looking for the BEST of the BEST! The world wide web is such a huge place and it’s tricky trying to find the BEST companies, with the BEST ideas, and the BEST prices. That is why we are turing to YOU to find the VERY BEST gift ideas on the web. We’re so excited to see what amazing products you have! All you have to do is fill out the application below & we’ll be choosing up to 15 of our FAVORITE products from 15 of our favorite companies to feature.